Welcome to Big Bear Shores RV Resort! The only 5 start RV Resort located in Big Bear Lake! 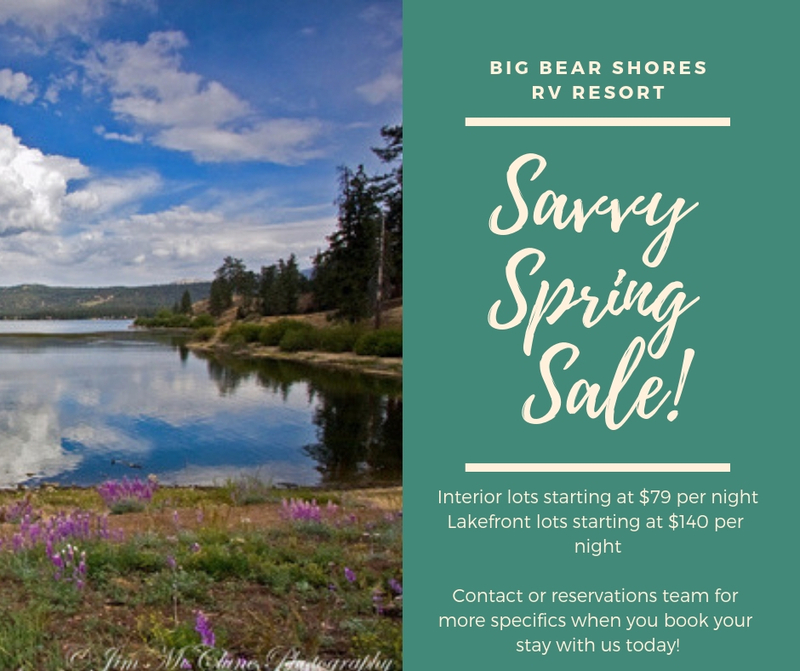 Located in Southern California’s beautiful San Bernardino mountains on Big Bear Lake, Big Bear Shores is the ultimate RV Resort. 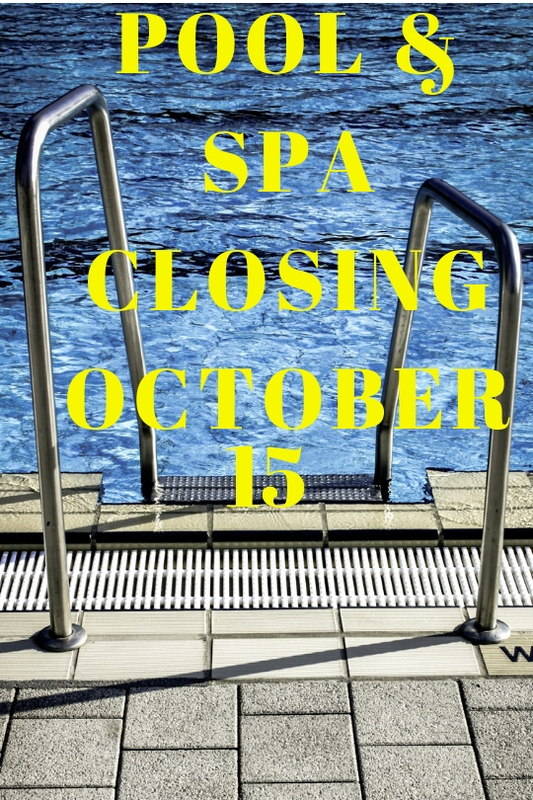 Come enjoy the luxury of a gate guarded resort, complete with a tennis court, swimming pool, spa and private lake access! We offer full hook ups including water, electric and sewer. Enjoy fishing, golfing, hiking, boating, exploring the back country or just relaxing. We have it all here! Why are we so different? Here at Big Bear Shores RV Resort, each lot is owned by individual owners. The owners take pride in their lots and offer different amenities such as tables, decks, built in countertops, large RV parking and beautiful landscaping! Each lot has beautiful trees and some back to the forest area for additional privacy or you can enjoy the gorgeous lake in our lakefront lots! Interested in purchasing a lot? We offer that too! 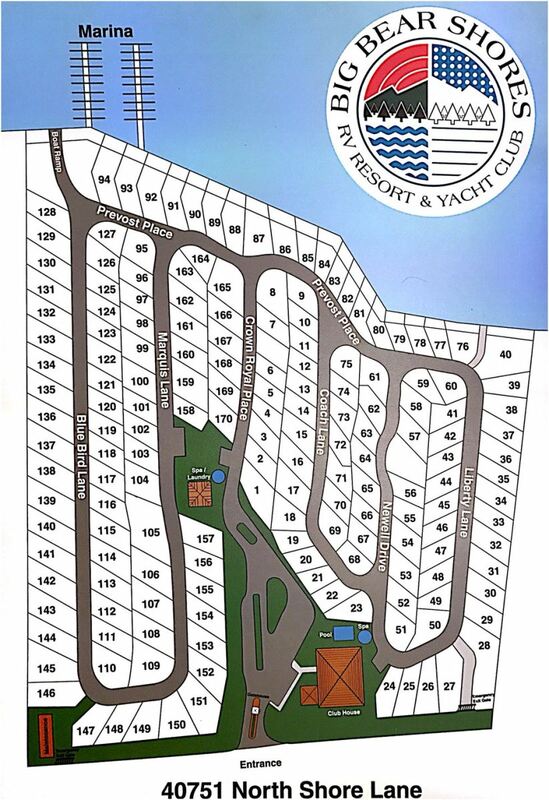 Visit our Lots For Sale page for more information. We are a family owned and family run business! We love meeting new people and seeing our guests enjoy what we get to enjoy everyday! Have more questions? Give us a call or email us! acknowledgement of the Resort's Rules & Policies. - Restricted recreational vehicles are permitted in the Resort. Park trailers, folding or pop up camping trailers, truck or pick-up campers, camping vans, school bus conversions, horse trailer conversions are not permitted. - Wood burning, charcoal & open fires or BBQ's are not permitted. Propane only.